September 13th, 2016 will, sadly, mark the twentieth anniversary of the death of Tupac Amaru Shakur. And while one greedy schmuck enterprising individual aims to cash in by selling some of ‘Pac’s handwritten lyrics, one restaurant aims to pay homage to the fallen legend in another manner. 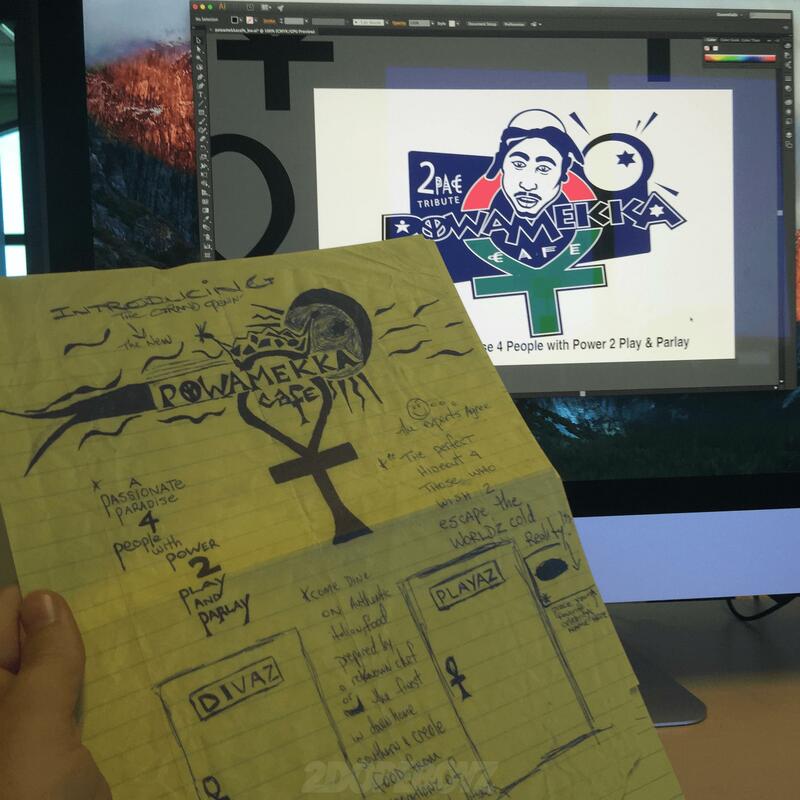 Fresno, California-based eatery Take 3 Burgers is teaming with Sam Hansen, the creative mind behind FTK and director of marketing for the Triple-A Fresno Grizzlies baseball team, to launch a one-day pop-up restaurant in honor of 2Pac: Powamekka Café, the restaurant that the rapper was planning to open before his untimely death. 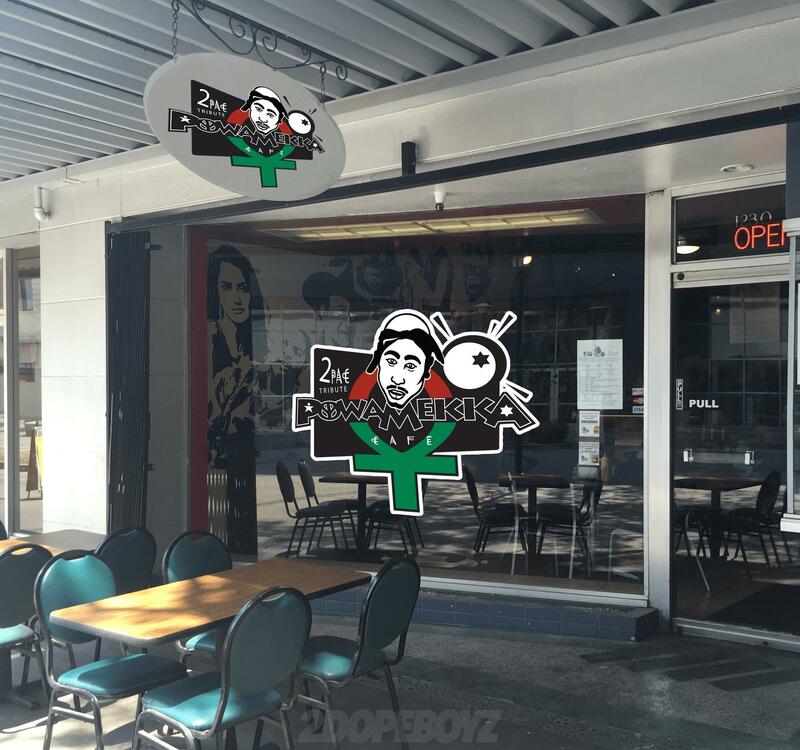 The cafe will be directly inspired from ‘Pac, thanks to sketches and menu ideas that he wrote down before his death. 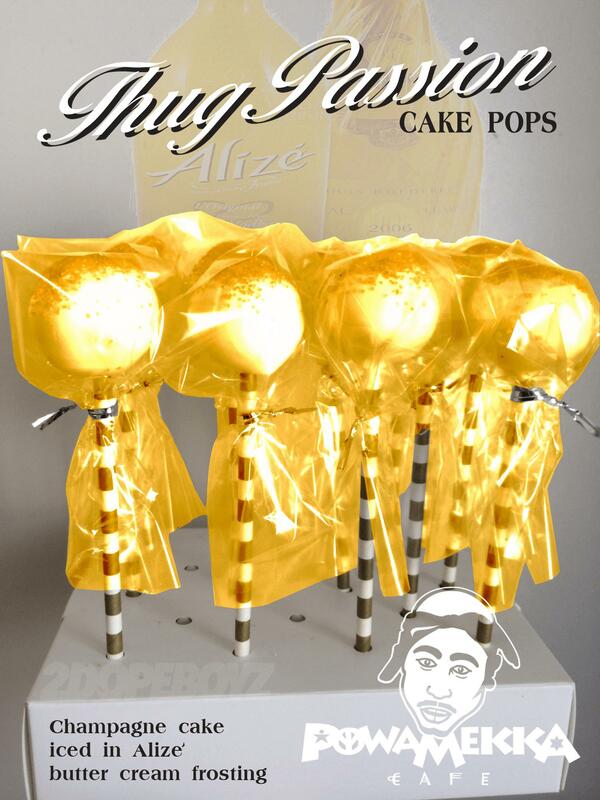 The one-day affair will include culinary choices like the California Love Chicken Sandwich, Hennessey Apple Butter chicken wings, a Mac-and-Cheeseburger and Thug Passion cake pops (champagne cake with Alize-flavored frosting). “Working on Powamekka Café makes me feel like I’m bringing Pac’s vision to life,” Hansen says via statement. 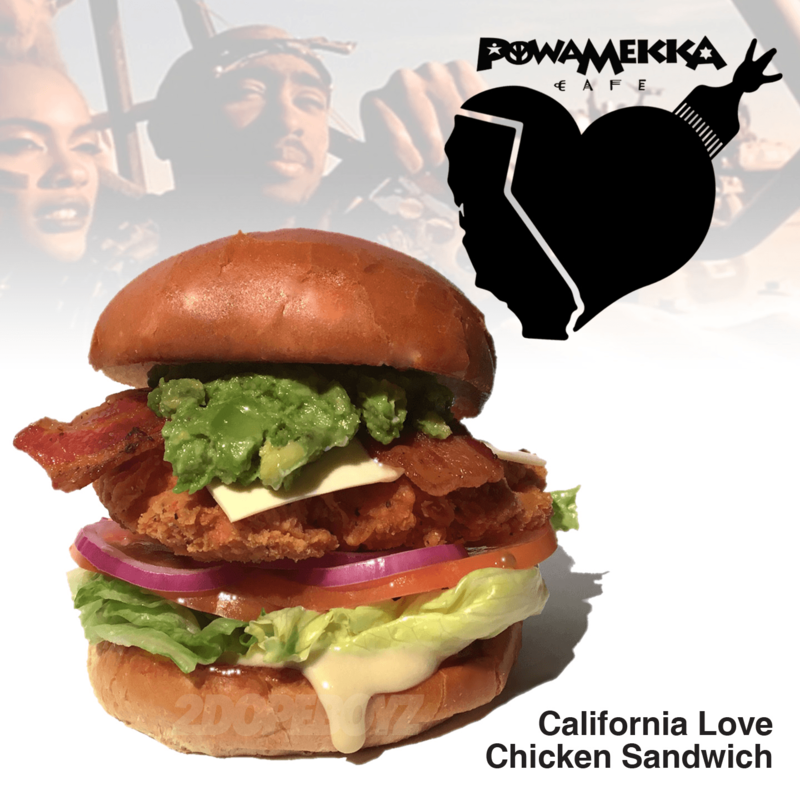 Going down on September 13th, Powamekka Café will be open to all ages, and will also include local musicians playing their covers of some of Tupac’s most popular songs. The celebration will continue later this year, as the 2Pac biopic All Eyez On Me is slated to arrive in theaters on November 11th, 2016.